To be honest, I’m not disappointed. Sure I’d love to see some good ol’ fashioned info about watermain construction, design, or materials. But it’s also fun to see where all the watermain breaks are happening as it happens. It actually seems like a majority are reported in the Greater Toronto Area, which would make sense – being a city that can experience a lot of freeze-thaw patterns throughout the winter. A recent article in the Toronto Sun claims that it’s only beginning: Prepare for a flood of watermain breaks. Paul Clements, a manager with Toronto Water, acknowledged most of the city’s 1,500 annual watermain breaks happen in the winter because of what he called “bouncing,” when the ground expands and contracts repeatedly with the changing temperatures. This is the science behind watermain breaks, but expanding and contracting ground is only the catalyst. It’s also a problem of aging infrastructure. 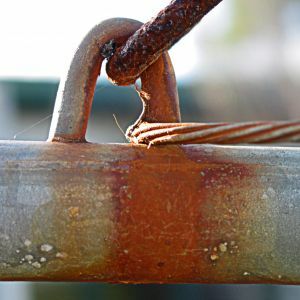 Older mains are more worn and weaker, making them more likely to burst. Bring on that infrastructure stimulus package! Oh – and here’s the aforementioned sinkhole via twitter. 3 Responses to "Watermain Breaks: Causes, Places, and Twitter"
Maybe add “buzzards” to your search! An engineer friend of mine involved in this sort of work said perhaps he might add buzzards to the payroll! I want to see a Google map showing all the water main breaks in real time! Can we make that app?